There is no shortage of green ideas at PeoplesBank. Beyond investing millions in renewable energy projects, the Massachusetts community bank has built bank branches sustainably and empowered employees to volunteer their time to cleaning up the environment. PeoplesBank in Holyoke, Mass., has developed a specialism in creating financing packages that support renewable energy power generation. 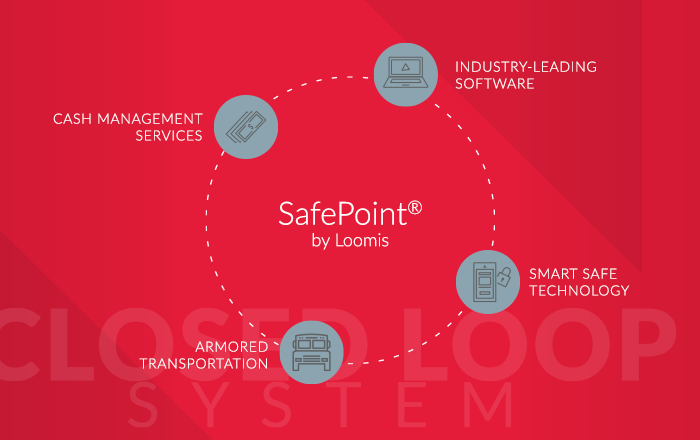 In turn, that’s sparked a broader commitment to sustainability. “It makes sense on the business side from a commercial point of view, and it’s also one of our retail and consumer core values,” says Matthew Bannister, first vice president of marketing and innovation at $3 billion-asset PeoplesBank. PeoplesBank first stepped into renewable energy financing nearly a decade ago when it helped local utility Holyoke Gas & Electric fund a large hydroelectric generation project on the Connecticut River. The community bank has since become a leader in renewable energy financing in its service region of western Massachusetts and northern Connecticut. To date, the community bank has helped finance $171 million in wind, solar and hydroelectric power projects. In the process, PeoplesBank has devoted more and more of its own resources to supporting sustainable initiatives and education among its employees, customers and the communities it serves. These days, that involves significant reach. Founded in 1885, PeoplesBank has grown into a powerhouse community bank with 21 full-service branches and 330 employees. The focus on sustainability also aligns with the bank’s stated commitment to be a good corporate citizen, create a great place to work and strive to improve the environment. PeoplesBank staff believe the bank can help make the region a healthier place to live, work and raise a family, and it puts those values to work throughout the year through initiatives ranging from hosting eco-friendly events and programs to charitable giving and volunteer hours. For example, all three of the branches that PeoplesBank has built in the past several years have been constructed to LEED, or Leadership in Energy and Environmental Design, standards. Developed by the U.S. Green Building Council, LEED has become a global benchmark for rating green buildings based on a variety of criteria related to environmentally friendly design, construction, operation and maintenance. The community bank’s Northampton and West Springfield, Mass., branches both achieved LEED Gold certification, while its Springfield branch is LEED Silver. Each of the three buildings is highly energy efficient and minimizes its impact on the environment through the use of recycled and locally sourced materials where possible. 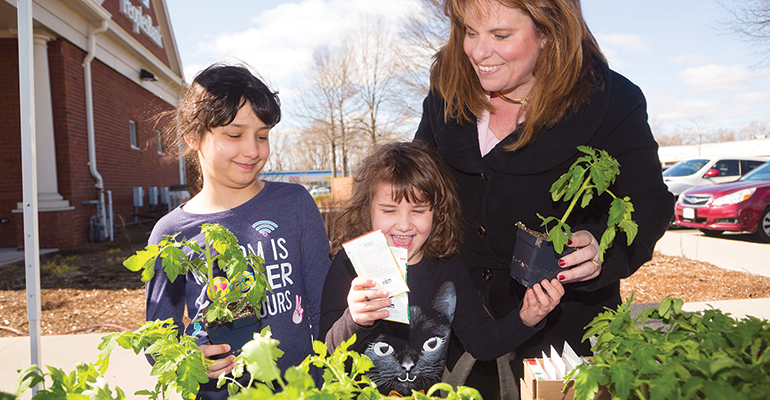 PeoplesBank celebrates Earth Day with its Earth Day Plants and Garden Seeds giveaway, where customers receive tomato plants and seed packets at select bank branches. About a dozen bank employees serve on an environmental committee that spearheads planning events and initiatives for both in-house and community-wide programs. “They are really making sure that we are walking the walk as well as talking the talk in the green environment,” Bannister says. PeoplesBank supports a variety of community events at its branch locations, such as hosting free recycling days to bring in items like electronics and batteries, as well as plant and seed giveaways on Earth Day, April 22. The community bank offers electric vehicle charging stations for both employees and the public at each of its three LEED-certified branches. It incentivizes employees to purchase electric or hybrid vehicles through a rebate program. PeoplesBank also has a multi-year commitment of providing more than $65,000 in funding for local green initiatives, supporting groups such as the Community Involved in Sustaining Agriculture (CISA) Food for All campaign, Center for EcoTechnology and Mount Holyoke Wetlands Restoration project, among others. 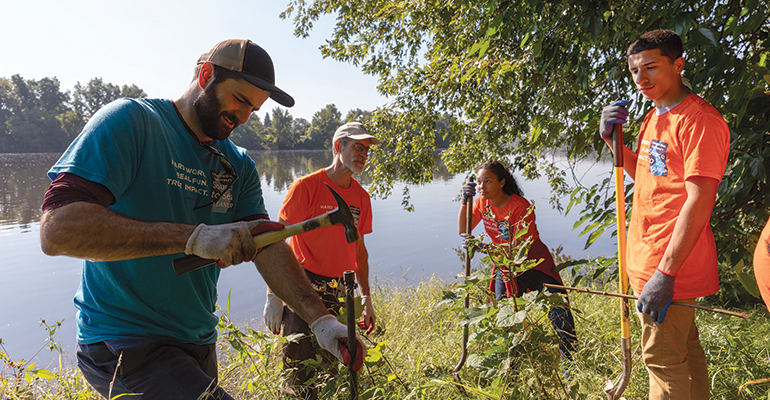 Bank employees log 10,000-plus volunteer hours each year, many of which are related to environmental or clean-up projects. For example, many participate in the annual Source to Sea Cleanup of the Connecticut River, sponsored by the Connecticut River Conservancy. Bannister and the bank’s leadership also believe community banks are in an ideal position to be agents of change in their communities. One way they can make a statement is by directing some of their CRA grants to environmental groups, Bannister notes. He believes community banks can also help support sustainability by practicing what they preach; promoting energy efficiency within bank branches sends the right message to employees, customers and the community, he says. PeoplesBank supports the idea that even small changes, such as giving employees reusable coffee mugs instead of disposable cups, can create big ripples. Beth Mattson-Teig is a writer in Minnesota.